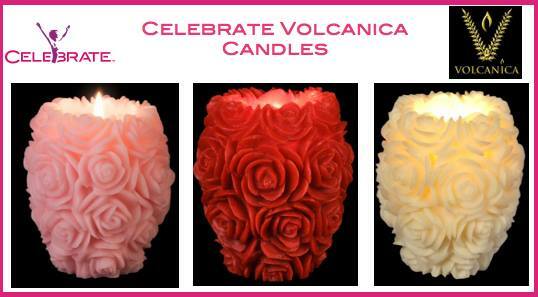 Volcanica Candles Flash Giveaway ends @ 9pm PST 3 winners! Captivating Volcanica candles are crafted with natural earth resources on the island of Bali. Creativity is the name of each hand-crafted masterpiece. Finding a difference in each Volcanica candle is easy. The tapestry with which they are made is unprecedented. Designs and color palettes are here to fascinate even the pickiest ones! I love the conch shell candle! I love the conch candle. I would like to see the large wood candles. The floating blooms are nice. I like the Botanic LED, Country Apple Spice Scent. One of the wood candles! I really love a lot of those candles. Since I just won a Cal Spas hot tub that is being delivered next week (!) I want to celebrate with the large Floating Signal Candle. How perfect that would be in my beautiful spa tub!! fleur de lys pearl is gorgeous. All of them are beautiful and unique. I am totally in love with the Byzantine Profound, that is just gorgeous. the large log pilar candle-thanks! Very unique candles. Never seen anything like them. How do u enter the give away? Link plz! what do you mean Amy the rafflecopter is right there to enter? It has been acting up today so you may have to refresh or come back, rafflecopter has been having problems.